Days out are great occasions providing many beautiful moments. Days out at them parks, a concert involving your favourite band, or a family occasion such as a wedding, christening or birthday party all provide great opportunities to create a unique Pixum Photo Book, bursting with the best moments of your days out. Our easy-to-use Pixum Photo Book software can be used to can be used to design your Photo Book of your big day out, adding that extra touch of class to your book of every day. 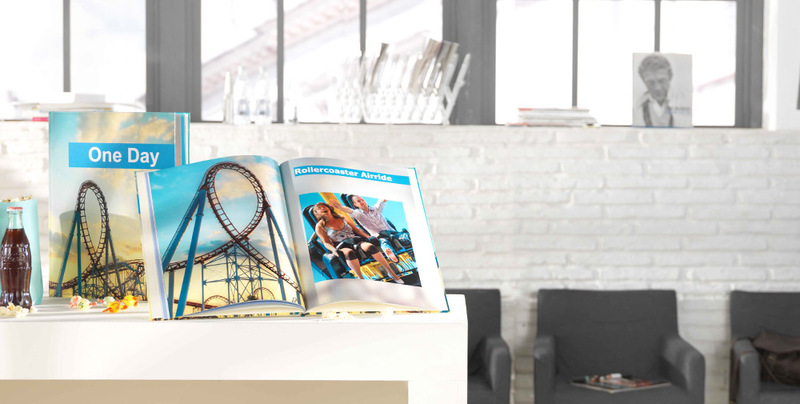 To give an extra-special look, design your Pixum Photo Book with a faux leather cover with clamp binding. 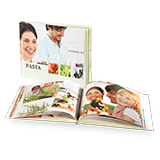 This lends an old-fashioned style to your Photo Book and gives it an antiquesque charm. Add your choice of text and your choice of background colours.